New York: Greenwillow, 2008. Beige boards with a green, gilt-stamped backstrip. Green endpapers. 404pps. First Printing. An excellent copy: clean, tight, square, and bright. All tips are sharp. The textblock is immaculate; no apparent reading wear and no previous ownership markings. The dust jacket, glossy in a mylar sleeve, has a touch of crinkling at the lower front tip; otherwise as new. The original price (17.99) is on the rear panel.<br><br> Purchase with confidence: all books, gradings, and descriptions are rendered the care of a genuine bibliophile. Satisfaction guaranteed or all costs you've incurred will be promptly refunded. Thanks for your interest in Nooks Of Books. 42-A.. First Edition. Hardcover. 8vo - over 7¾" - 9¾" tall. New York: Daw Books, 2007. Fine in a Fine dustjacket. Black boards. The spine is stamped in gilt. Quarto. 662pps. First Printing. An excellent, collector's-quality copy: clean, tight, square, and bright. All tips are sharp. The text is immaculate; no reading wear and no previous ownership markings. The dustjacket (the Greenman/Gargoyle first-state variant), glossy in a mylar sleeve, has a vague and inobtrusive crease in the front flap, it is otherwise, also, as new; the original price (24.95) is intact. The author's first novel and the beginning of the Kingkiller Chronicles.<br><br><b><font color=#003366> "...Told in Kvothe's own voice, this is the tale of the magically gifted young man who grows to be the most notorious wizard his world has ever seen. The intimate narrative of his childhood in a troupe of traveling players, his years spent as a near-feral orphan in a crime ridden city, his daringly brazen yet successful bid to enter a legendary school of magic, and his life as a fugitive after the murder of a king form a gripping coming-of-age story unrivaled in recent literature. A high-action story written with a poet's hand, 'The Name of the Wind' is a masterpiece that will transport readers into the body and mind of a wizard. "</b></font><br><br> Purchase with confidence: all books, gradings, and descriptions are rendered the care of a genuine bibliophile. Satisfaction guaranteed or all costs you've incurred will be promptly refunded. Thanks for your interest in Nooks Of Books. To assist with your decision, photos can be emailed upon request. 42-C.. First Edition. Hard Cover. New York: Knopf, 1923. Near Fine in a Very Good+ dust jacket. Bound in full brown cloth. Both the spine and the front panel are stamped in blue. Blue topstain. 306pps. First Printing (August, 1923). The upper tips and the spine-ends are midly bumped and there is a faint pencil-erasure (of price) on the ffep. Otherwise clean, bright, square, and soundly bound. No apparent reading wear and no previous ownership markings. 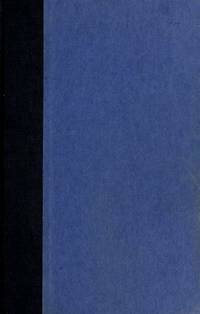 The price-clipped dust jacket, now glossy in a mylar sleeve, is slightly sun-darkened, lightly sullied, and has shallow chipping at the extremities (not affecting copy). A very nice, collector's-quality copy of this Shiel novel.<br><br> Purchase with confidence: all books, gradings, and descriptions are rendered the care of a genuine bibliophile. Satisfaction guaranteed or all costs you've incurred will be promptly refunded. Thanks for your interest in Nooks Of Books. To assist with your decision, photos can be emailed upon request. 45-A.. First Edition. Cloth. New York, NY, U.S.A.: Atheneum, 1984. Fine in a Near Fine dust jacket. Bound in full beige cloth. Both the spine and the decorative front board are stamped in gilt. 232pps. Octavo. Stated First Edition. An excellent, collector's-quality copy: clean, tight, square and bright. All tips are sharp. No apparent reading wear and no previous ownership markings. The dustjacket, glossy in a mylar sleeve, has light rubbing wear at the head of the spine and the front flap has a couple of small creases. The original price (12.95) is intact. 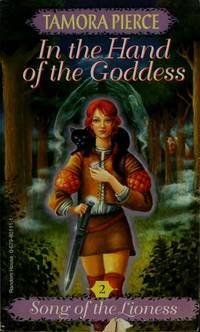 The second book in Pierce's 'Song of the Lioness' series.<br><br><b><font color=#003366> "Still disguised as a boy, Alanna becomes a squire to none other than the prince of the realm. Prince Jonathan is not only Alanna's liege lord, he is also her best friend -- and one of the few who knows the secret of her true identity. And when the Prince's life is threatened by a mysterious sorcerer, it will take all of Alanna's skill, strength, and magical power to protect him -- even at the risk of revealing who she really is. Filled with swords and sorcery, adventure and intrigue, good and evil, Alanna's second adventure continues the saga of a girl who dares to follow her dreams -- and the magical destiny that will make her a legend in her land. "<br><br></b></font> Purchase with confidence: all books, gradings, and descriptions are rendered the care of a genuine bibliophile. Satisfaction guaranteed or all costs you've incurred will be promptly refunded. Thanks for your interest in Nooks Of Books. To assist with your decision, photos can be emailed upon request. 40-C.. First Edition. Hard Cover. New York: Arbor House Pub Co, 1986. Very Good+ in a Very Good+ dust jacket. Bound in full gray cloth. The spine is stamped in gilt. xxv + 420pps. First Printing. The spine-ends are mildly bumped and there are modest touches of soiling to the edges of the textblock. Otherwise clean, bright and soundly bound. The lightly crinkled dust jacket, glossy in a mylar sleeve, has a crease along the spine-panel and the white flaps are faintly sunned at the edges; the original price (16.95) is intact. A nice copy overall.<br><br><b><font color=#003366> "...Five young men and women from our world have been caught up in a devastating war between the forces of good and evil in Fionavar, the world that is the center of all reality, of which our own is but a shadow. They have grown, changed, and suffered, and taken on roles of crucial significance in that bright land. Now, in the final battle, Dave, Kimberly, Paul, Jennifer, and Kevin must each face the ultimate malfeasance of Rakoth Maugrim in an explosive and thrilling series of titanic conflicts..."</b></font><br><br> Purchase with confidence: all books, gradings, and descriptions are rendered the care of a genuine bibliophile. Satisfaction guaranteed or all costs you've incurred will be promptly refunded. Thanks for your interest in Nooks Of Books. X11-D.. First Edition. Cloth. Baltimore, Maryland: Cemetery Dance Publications, 2014. As New in an As New dust jacket. Bound in full gray cloth. Both the spine and the front panel are stamped in silver. Green endpapers. 286pps., with numerous line drawings. 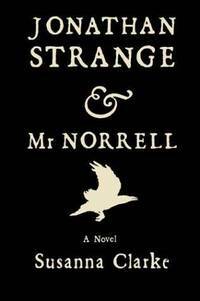 Limited Edition and first hard cover edition (published originally as a paperback in 2003 by Broadway Books). This is a flawless, collector's-quality copy: clean, tight, square, and bright. All tips are sharp. The textblock is immaculate; no reading wear and no previous ownership markings. The dustjacket, glossy in a mylar sleeve, is equally Fine. SIGNED by the author on a special preliminary page (limited to 948 copies).<br><br><b><font color=#003366> "The Zombie Survival Guide is your key to surviving against the hordes of undead who may be stalking you right now.<br> Fully illustrated and exhaustively comprehensive, this book covers everything you need to know, including how to understand zombie physiology and behavior, the most effective defense tactics and weaponry, ways to outfit your home for a long siege, and how to survive and adapt in any territory or terrain.<br> Don't be carefree and foolish with your most precious asset -- life. The Zombie Survival Guide offers complete protection through trusted, proven tips for safeguarding yourself and your loved ones against the living dead. It is a book that can save your life. "</b></font><br><br> Purchase with confidence: all books, gradings, and descriptions are rendered the care of a genuine bibliophile. Satisfaction guaranteed or all costs you've incurred will be promptly refunded. Book images can be emailed upon request. Thanks for your interest in Nooks Of Books. 41-C.. SIGNED by the Author. First Edition. Cloth. Boston: Houghton Mifflin, 1983. Fine in a Fine dustjacket. Bound in full black cloth. The spine is stamped in gilt. Octavo. Orange endpapers. 297pps. First printing. An excellent, collector's-quality copy: clean, tight, square, and bright. All tips are sharp. The textblock is immaculate; no apparent reading wear and no previous ownership markings. The dustjacket, glossy in a new mylar sleeve, is mildly rubbed; the original price (30.00) is intact. 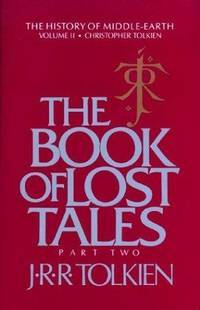 Edited by Christopher Tolkien.<b><font color=#003366><br><br> "Stands at the beginning of the entire conception of Middle-earth and Valinor. Here is the whole, glorious history of Middle-earth that J.R.R. Tolkien brought to mythic and dramatic life with his classic fantasy novels of the Ring Cycle. "</b></font><br><br> Purchase with confidence: all books, gradings, and descriptions are rendered the care of a genuine bibliophile. Satisfaction guaranteed or all costs you've incurred will be promptly refunded. Thanks for your interest in Nooks Of Books. To assist with your decision, photos can be emailed upon request. 41-C.. First Edition. Cloth. U.S.A.: Bloomsbury USA, 2004. Fine in a Fine dustjacket. Black boards. The spine is decoratively stamped in gilt. Quarto Red endpapers. 782pps. There is light bumping to the spine-ends, otherwise as new; clean, tight, square and bright. All tips are sharp. The textblock is immaculate; no reading wear and no previous ownership markings. The dust jacket, glossy in a mylar sleeve, is very midly rubbed; the original price (27.95) is intact. A beautiful, collector's-quality copy of this Hugo Award Winner.<br><br> Purchase with confidence: all books, gradings, and descriptions are rendered the care of a genuine bibliophile. Satisfaction guaranteed or all costs you've incurred will be promptly refunded. Thanks for your interest in Nooks Of Books. 42-C.. First Edition. Hard Cover. U.S.A.: Doubleday, 1984. In Very Good condition. Original pictorial wraps. 546pps. Stated First Doubleday Paperback Edition, 1984. There is modest general rubbing and scratching to the wraps and the closed page-edges have been subject to a bit of dustspotting. Otherwise clean, bright and soundly bound. No previous ownership markings. A nice and uncommon copy of the original edition. <br><br>Purchase with confidence: all books, gradings, and descriptions are rendered the care of a genuine bibliophile. Satisfaction guaranteed or all costs you've incurred will be promptly refunded. Thanks for your interest in Nooks Of Books. X04-C.. First Edition. Trade Paperback. New York, NY, U.S.A.: Alfred A. Knopf Incorporated, 1996. Very Good+ in a Near Fine dust jacket. Dark blue boards quarterbound in navy blue cloth. The spine is gilt-stamped. 399pps. First Printing. There are faint touches of dustspotting to the closed page-edges and a remainder dot atop the textblock. Otherwise clean, tight, square, and bright. No previous ownership markings. The dust jacket, glossy in a mylar sleeve, is mildly rubbed; the original price (20.00) is intact. A very nice, collector's-quality copy. 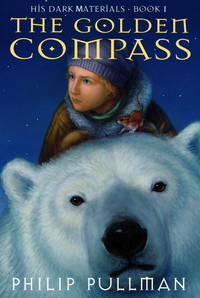 Book One of His Dark Materials series.<br><br><b><font color=#003366> "...Lyra Belacqua is content to run wild among the scholars of Jordan College, with her daemon familiar, Pantalaimon, always by her side. When her uncle, Lord Asriel, returns from the North with tales of mystery and danger, it seems to have little to do with her -- even the rumor of the severed child. But his visit sets off a chain of events that draws Lyra into the heart of a terrible struggle -- a struggle that involves scientists performing hideous experiments on children, alliances with gyptians and witch clans, battles with trained mercenaries, and armored bears..."<br><br></b></font> Purchase with confidence: all books, gradings, and descriptions are rendered the care of a genuine bibliophile. Satisfaction guaranteed or all costs you've incurred will be promptly refunded. Thanks for your interest in Nooks Of Books. X06-A.. First Edition. Hard Cover. Garden City: Doubleday, 1955. Fine in a Very Good dust jacket. Bound in full black cloth. The spine is stamped in red. Red topstain. Octavo. 191pps. There is very light rubbing to the extremities, otherwise clean, tight, square and bright. The textblock is immaculate; no apparent reading wear and no previous ownership markings. The dust jacket, glossy in a new mylar sleeve, has a 2" (though closed) tear at the top of the rear spine-fold and modest general edgewear and rubbing; the original price (2.95) is intact. An excellent copy of a very early printing of this science fiction classic.<br><br> "Andrew Harlan is an Eternal -- a member of a highly exclusive organization. The Eternals are Technicians, carefully selected and highly trained, whose job it is to range through past and present Centuries, monitoring and, when necessary, altering time's myriad cause-and-effect relationships to smooth out the rough spots in the long and sometimes tragic history of mankind.<br> Despite the lifelong training and rigorous discipline of his organization Harlan meets a non-Eternal woman and falls victim to a timeless phenomenon -- love. And then he seeks to use the awesome techniques of the Eternals to twist time to suit their purposes..."<br><br></b></font> Purchase with confidence: all books, gradings, and descriptions are rendered the care of a genuine bibliophile. Satisfaction guaranteed or all costs you've incurred will be promptly refunded. Thanks for your interest in Nooks Of Books. 42-A.. Cloth. U.S.A.: Scholastic Press, 2008. Fine in a Fine dust jacket. Gray boards. Both the spine and the front panel are stamped in gilt. Red endpapers. 374pps. First Printing. There is mild bumping to the heel of the spine, otherwise Fine: clean, tight, square and bright. The textblock is flawless: absolutely no reading wear and no previous ownership markings. The dust jacket, glossy in a mylar sleeve, is as new; the original price (17.99) is intact. An excellent, collector's-quality copy. 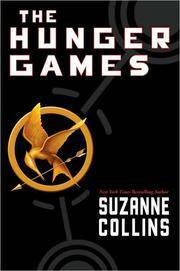 Book 1 of the series.<br><br><b><font color=#003366> "In the ruins of a place once known as North America lies the nation of Panem, a shining Capital surrounded by twelve outlying districts. The Capital is harsh and cruel and keeps the districts in line by forcing them all to send one boy and one girl between the ages of twelve and eighteen to participate in the annual Hunger Games, a fight to the death on live TV.<br> Sixteen-year-old Katniss Everdeen, who lives alone with her mother and younger sister, regards it as a death sentence when she steps forward to take her sister's place in the Games. But Katniss has been close to death before -- and survival, for her, is second nature. Without really meaning to, she becomes a contender. But if she is to win, she will have to start making choices that weigh survival against humanity and life against love. "<br><br></b></font> Purchase with confidence: all books, gradings and descriptions are rendered the care of a genuine bibliophile. Satisfaction guaranteed or all costs you've incurred will be promptly refunded. Thanks for your interest in Nooks Of Books. 42-B.. First Edition. Hard Cover. New York: Holt, Rinehart & Winston, 1967. Near Fine in a Very Good dustjacket. Blue-green boards. Both the spine and the front panel are stamped in blue. Light blue endpapers. 256pps. Stated First Edition. There is mild rubbing wear to the extremities and a neatly penned gift inscription on the ffep, otherwise fine: clean, tight, square and bright. The text is immaculate; no apparent reading wear. The price-clipped dustjacket, glossy in a mylar sleeve, is lightly soiled and sundarkened and there is modest chipping at the extremities. A 1" closed tear is at the top of the rear jacket fold. Simply SIGNED by the author on the title-page. A very nice (and scarce) collector's-quality copy.<br><br><b><font color= #003366> "<big>A</big> profound and enriching experience for all young readers, this stirring fourth book of the Prydain cycle is in keeping with the distinguished literary standards of the previous three books. Here Taran goes questing for his parentage, hoping that it will prove nobel for the sake of a certain princess with red-gold hair. Accompanied by the faithful Gurgi, he goes first to the three wily enchantresses of the Marshes of Morva who send him to consult the Mirror of Llunet to learn who he is with the cryptic promise that 'the finding takes no more than the looking.' Joined by some of his old friends, Taran, sidetracked time and time again by exciting adventures, eventually comes to the rugged wasteland where the shepherd Craddoc lives and for a time gains a father -- and comes to know shame.<br> In a deeply moving climax at the Mirror of Llunet which is not an ending but a beginning, Taran Wanderer learns who he is and the secret of the Mirror -- which the wily Enchantresses had known all along..."</b></font><br><br> Purchase with confidence: all books, gradings, and descriptions are rendered the care of a genuine bibliophile. Satisfaction guaranteed or all costs you've incurred will be promptly refunded. Thanks for your interest in Nooks Of Books. To assist with your decision, photos can be emailed upon request.. 45-A.. SIGNED by the Author. First Edition. Hard Cover. 8vo - over 7¾" - 9¾" tall. New York: Harcourt Brace Jovanovich, 1977. Fine in a Near Fine dust jacket. Marbled brown boards with a black cloth backstrip. The spine is stamped in gilt. Octavo. Brown endpapers. 129pps., with numerous illustrations, including 8 full-color plates. First printing. An excellent, collector's-quality copy: clean, tight, square and bright. All tips are sharp. No apparent reading wear and no previous ownership markings. The dustjacket is mildly rubbed with light touches of edgewear; the original price (10.00) is intact.<br><br><b><font color=#003366> "With magical dexterity, Italo Calvino uses the device of tarot cards and their archetypal images to create a series of short, fantastic narratives. In a fairytale setting -- a castle and a tavern in the heart of a dense wood -- a company of men and women are brought together by chance. Distraught by strange adventures, they find they have lost their voices.<br> To communicate their fates -- love affairs, battles, conquests, betrayals -- they must deal out, one after the other, the cards of a game of tarot, whose configurations reveal their several plights..."<br><br></b></font> Purchase with confidence: all books, gradings, and descriptions are rendered the care of a genuine bibliophile. Satisfaction guaranteed or all costs you've incurred will be promptly refunded. Thanks for your interest in Nooks Of Books.. First Edition. Hardcover. New York: Bantam Books, 2000. Near Fine in a Near Fine dustjacket. White boards with a blue backstrip. The spine is stamped in silver. Quarto. Map endpapers. 973pps. First printing. There is mild rubbing to the edges of the boards and a faint pencil-erasure of price in the upper corner of the ffep. Otherwise Fine: clean, bright, square, and soundly bound. The textblock is as unread; no previous ownership markings. The dust jacket, glossy in a mylar sleeve, has slight touches of crinkling at the edges; the original price (26.95) is intact. 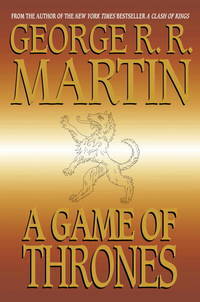 A highly presentable copy of Book 3 of Martin's highly regarded <i>Song of Ice and Fire'</i> series.<br><br><b><font color=#003366> <big>"O</big>f the five contenders for power, one is dead, another in disfavor, and still the wars rage as violently as ever, as alliances are made and broken. Joffrey, of House Lannister, sits on the Iron Throne, the uneasy ruler of the land of the Seven Kingdoms. His most bitter rival, Lord Stannis, stands defeated and disgraced, the victim of the jealous sorceress who holds him in her evil thrall. But young Robb, of House Stark, still rules the North from the fortress of Riverrun. Robb plots against his despised Lannister enemies, even as they hold his sister hostage at King's Landing, the seat of the Iron Throne. Meanwhile, making her way across a blood-drenched continent is the exiled queen, Daenerys, mistress of the only three dragons still left in the world.<br.> But as opposing forces maneuver for the final titanic showdown, an army of barbaric wildlings arrives from the outermost line of civilization. In their vanguard is a horde of mythical Others--a supernatural army of the living dead whose animated corpses are unstoppable. 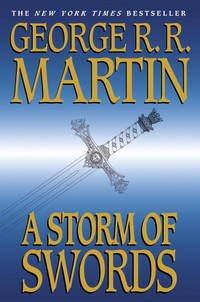 As the future of the land hangs in the balance, no one will rest until the SevenKingdoms have exploded in a veritable storm of swords..."<br><br></b></font> Purchase with confidence: all books, gradings, and descriptions are rendered the care of a genuine bibliophile. Satisfaction guaranteed or all costs you've incurred will be promptly refunded. Thanks for your interest in Nooks Of Books. To assist with your decision, photos can be emailed upon request.. First Edition. Hardcover. New York, New York, U.S.A.: Margaret K McElderry, 2007. Fine in a Fine dust jacket. Black boards. The spine is stamped in gilt. Quarto. 485pps. First Edition, first printing. An excellent, collector's-quality copy: clean, tight, square, and bright. All tips are sharp. No apparent reading wear and no previous ownership markings. The dust jacket, glossy in a mylar sleeve, has a slight touch of creasing at the head of the spine; the original price (17.99) is intact. Book 1 of The Mortal Instruments series.<br><br><b><font color=#003366> "...When fifteen-year-old Clary Fray heads out to the Pandemonium Club in New York City, she hardly expects to witness a murder -- much less a murder committed by three teenagers covered with strange tattoos and brandishing bizarre weapons. Then the body disappears into thin air. Its hard to call the police when the murderers are invisible to everyone else and when there is nothing -- not even a smear of blood -- to show that a boy has died. Or was he a boy?<br> This is Clarys first meeting with the Shadowhunters, warriors dedicated to ridding the earth of demons. Its also her first encounter with Jace, a Shadowhunter who looks a little like an angel and acts a lot like a jerk. Within twenty-four hours Clary is pulled into Jaces world with a vengeance, when her mother disappears and Clary herself is attacked by a demon. But why would demons be interested in ordinary mundanes like Clary and her mother? And how did Clary suddenly get the Sight? 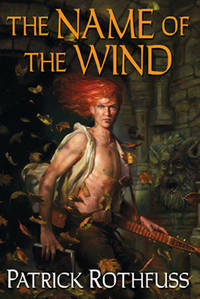 The Shadowhunters would like to know...<br> Exotic and gritty, exhilarating and utterly gripping, Cassandra Clares ferociously entertaining fantasy takes readers on a wild ride that they will never want to end..."</b></font><br><br> Purchase with confidence: all books, gradings, and descriptions are rendered the care of a genuine bibliophile. Satisfaction guaranteed or all costs you've incurred will be promptly refunded. Thanks for your interest in Nooks Of Books. To assist with your decision, photos can be emailed upon request.. First Edition. Hardcover. New York, New York, U.S.A.: Margaret K McElderry, 2008. Near Fine in a Fine dustjacket. Black boards. The spine is stamped in metallic blue. Quarto. 453pps. First Edition, first printing. There text block has yellowed slightly overall, otherwise Fine: clean, square and soundly bound. All tips are sharp. No previous ownership markings. The dustjacket, glossy in a mylar sleeve, is as new; the original price (17.99) is intact. A very nice collector's-quality copy. 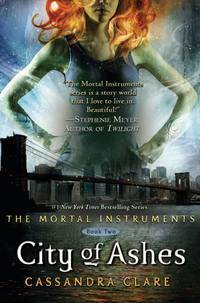 Book 2 of The Mortal Instruments series.<br><br><b><font color=#003366> "...Clary Fray just wishes that her life would go back to normal. But what's normal when you're a demon-slaying Shadowhunter, your mother is in a magically induced coma, and you can suddenly see Downworlders like werewolves, vampires, and faeries? If Clary left the world of the Shadowhunters behind, it would mean more time with her best friend, Simon, who's becoming more than a friend. But the Shadowhunting world isn't ready to let her go-- especially her handsome, infuriating, newfound brother, Jace. And Clary's only chance to help her mother is to track down rogue Shadowhunter Valentine, who is probably insane, certainly evil-- and also her father.<br> To complicate matters, someone in New York City is murdering Downworlder children. Is Valentine behind the killings -- and if he is, what is he trying to do? When the second of the Mortal Instruments, the Soul-Sword, is stolen, the terrifying Inquisitor arrives to investigate and zooms right in on Jace. How can Clary stop Valentine if Jace is willing to betray everything he believes in to help their father?<br> In this breathtaking sequel to <i>City of Bones</i>, Cassandra Clare lures her readers back into the dark grip of New York City's Downworld, where love is never safe and power becomes the deadliest temptation..."</b></font><br><br> Purchase with confidence: all books, gradings, and descriptions are rendered the care of a genuine bibliophile. Satisfaction guaranteed or all costs you've incurred will be promptly refunded. Thanks for your interest in Nooks Of Books.. First Edition. Hardcover. New York, New York, U.S.A.: Margaret K McElderry, 2008. Fine in a Fine dustjacket. Black boards. The spine is stamped in metallic blue. Quarto. 453pps. First Edition, first printing. An excellent, collector's-quality copy: clean, tight, square, and bright. All tips are sharp. No previous ownership markings. The dustjacket, glossy in a mylar sleeve, is also as new; the original price (17.99) is intact. Interestingly SIGNED and inscribed by the author to the original owner 'For Mem, a fellow Darren Shan fan! Cassie C." Book 2 of The Mortal Instruments series.<br><br><b><font color=#003366> "...Clary Fray just wishes that her life would go back to normal. But what's normal when you're a demon-slaying Shadowhunter, your mother is in a magically induced coma, and you can suddenly see Downworlders like werewolves, vampires, and faeries? If Clary left the world of the Shadowhunters behind, it would mean more time with her best friend, Simon, who's becoming more than a friend. But the Shadowhunting world isn't ready to let her go-- especially her handsome, infuriating, newfound brother, Jace. And Clary's only chance to help her mother is to track down rogue Shadowhunter Valentine, who is probably insane, certainly evil-- and also her father.<br> To complicate matters, someone in New York City is murdering Downworlder children. Is Valentine behind the killings -- and if he is, what is he trying to do? When the second of the Mortal Instruments, the Soul-Sword, is stolen, the terrifying Inquisitor arrives to investigate and zooms right in on Jace. 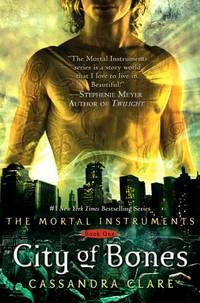 How can Clary stop Valentine if Jace is willing to betray everything he believes in to help their father?<br> In this breathtaking sequel to <i>City of Bones</i>, Cassandra Clare lures her readers back into the dark grip of New York City's Downworld, where love is never safe and power becomes the deadliest temptation..."</b></font><br><br> Purchase with confidence: all books, gradings, and descriptions are rendered the care of a genuine bibliophile. Satisfaction guaranteed or all costs you've incurred will be promptly refunded. Thanks for your interest in Nooks Of Books. To assist with your decision, photos can be emailed upon request.. SIGNED by the Author. First Edition. Hard Cover. New York, NY, U.S.A.: Bantam Books, 1996. Fine in a Fine dustjacket. Black boards. The spine is stamped in silver. Map-endpapers. Quarto. 694pps. Fiirst Printing. There is very mild bumping to the spine-ends, otherwise clean, tight, square, and bright. All tips are sharp. The textblock is immaculate; no apparent reading wear and no previous ownership markings. The first-state silver, metallic dustjacket, glossy in a mylar sleeve, has a touch of crinkling at the head of the spine. No chips, soiling, or tears. The original price (21.95) is intact. A card, signed and inscribed to the original owner with 'All Good Wishes', has been affixed to the half-title page. An excellent collector's quality copy of Martin's acclaimed fantasy classic, basis for the HBO series.<br><br><b><font color=#003366> "...<big>L</big>ong ago, in a time forgotten, a preternatural event threw the seasons out of balance. In a land where summers can last decades and winters a lifetime, trouble is brewing. The cold is returning, and in the frozen wastes to the north of Winterfell, sinister forces are massing beyond the kingdom's protective Wall. To the south, the king's powers are failing: his most trusted advisor dead under mysterious circumstances and his enemies emerging from the shadows of the throne. At the center of the conflict lie the Starks of Winterfell, a family as harsh and unyielding as the frozen land they were born to. Now Lord Eddard Stark is reluctantly summoned to serve as the king's new Hand, an appointment that threatens to sunder not only his family but the kingdom itself. Sweeping from a harsh land of cold to a summertime kingdom of epicurean plenty, 'A Game of Thrones' tells a tale of lords and ladies, soldiers and sorcerers, assassins and bastards who come together in a time of grim omens. "</b></font><br><br> Purchase with confidence: all books, gradings, and descriptions are rendered the care of a genuine bibliophile. Satisfaction guaranteed or all costs you've incurred will be promptly refunded. Thanks for your interest in Nooks Of Books. To assist with your decision, photos can be emailed upon request. 40-D.. SIGNED by the Author. First Edition. Hard Cover. New York, New York, U.S.A.: Crown Publishers, 2006. Fine in a Fine dust jacket. Tan boards with a brown backstrip. The spine is stamped in gilt. Quarto. 342pps. First edition, first printing. An excellent, collector's-quality copy: clean, tight, square, and bright. No apparent reading wear and no previous ownership markings. The spine-ends are mildly rubbed. The dust jacket, glossy in a mylar sleeve, has a very slight crinkle at one tip; otherwise as new. 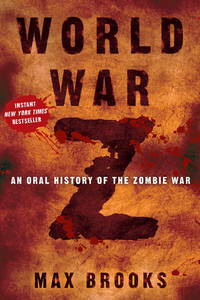 The original price (24.95) is intact.<br><br><b><font color=#003366> "...<big>T</big>he Zombie War came unthinkably close to eradicating humanity. Max Brooks, driven by the urgency of preserving the acid-etched first-hand experiences of the survivors from those apocalyptic years, traveled across the United States of America and throughout the world, from decimated cities that once teemed with upwards of thirty million souls to the most remote and inhospitable areas of the planet. He recorded the testimony of men, women, and sometimes children who came face-to-face with the living, or at least the undead, hell of that dreadful time. World War Z is the result. Never before have we had access to a document that so powerfully conveys the depth of fear and horror, and also the ineradicable spirit of resistance, that gripped human society through the plague years..."</b></font><br><br> Purchase with confidence: all books, gradings, and descriptions are rendered the care of a genuine bibliophile. Satisfaction guaranteed or all costs you've incurred will be promptly refunded. Thanks for your interest in Nooks Of Books. To assist with your decision, photos can be emailed upon request.. First Edition. Hard Cover.